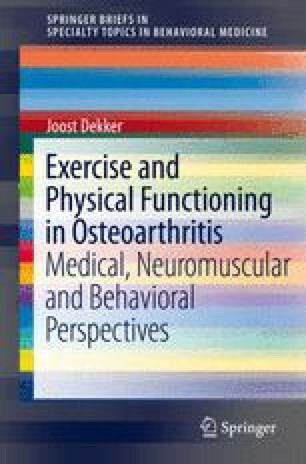 This chapter provides information on regular exercises in knee and hip osteoarthritis, based on evidence from the literature. Regular exercises include exercises aiming at improvement of muscle strength, aerobic capacity, flexibility and daily activities. Exercises can be performed under supervision (individually or in a group) or unsupervised at home.